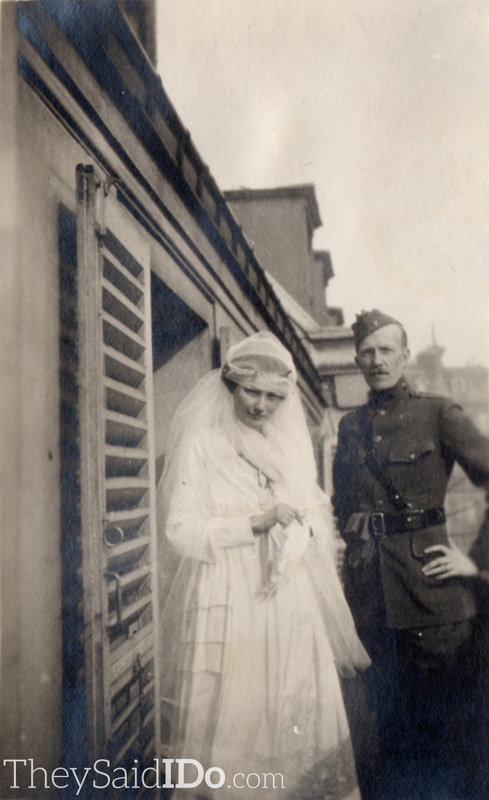 Here are several photos of what appear to be a World War I US Army officer and his bride. 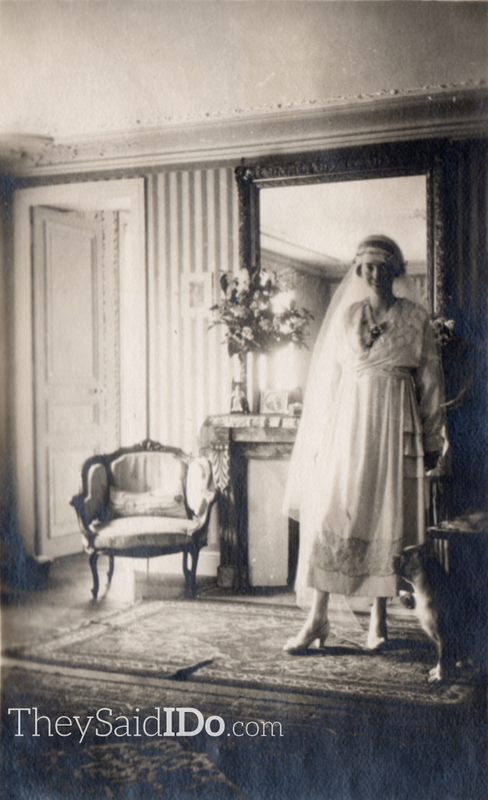 I love the interior shot with the dog sitting on the rug at the bride’s feet. The exterior shots European to me…wish I could say for sure but there isn’t any identifying information. Gorgeous, nonetheless! 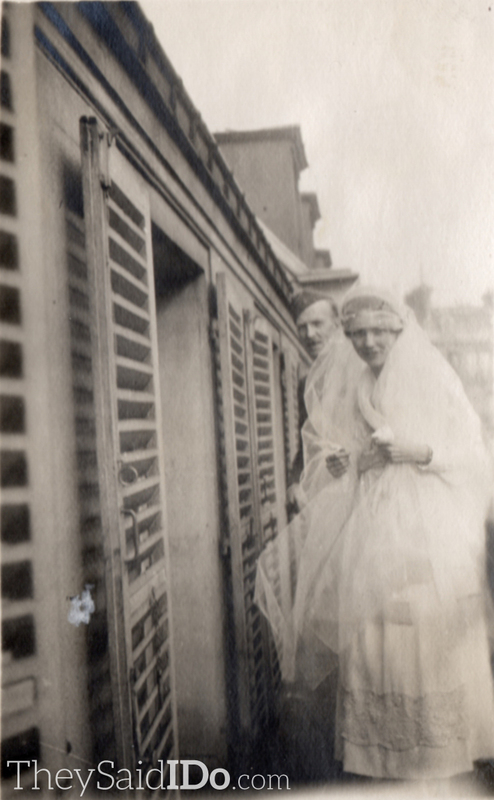 The National Archives posted the wedding photo of Harry and Bess Truman on their Facebook page earlier today in honor of their upcoming 95th anniversary (and of course, #TBT. Really now, who can do that better than NARA?). Be sure to check out the link after the jump to the Truman Presidential Library & Museum’s digitized collection of their love letters. Post by US National Archives. 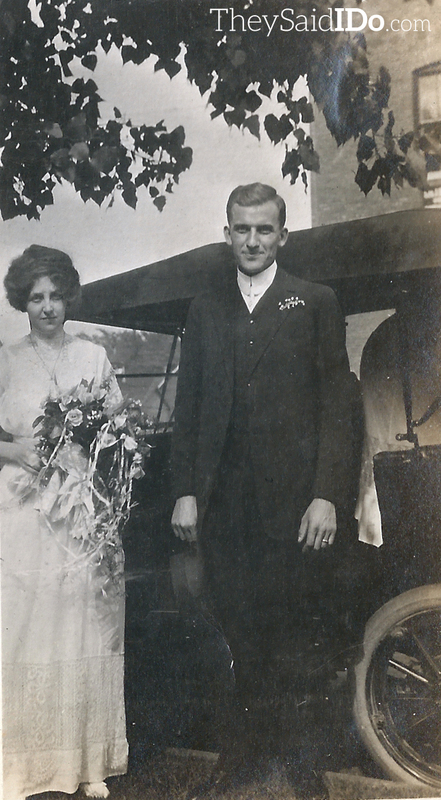 In this unidentified photo from the 1910s, the groom is front and center in front of a car while the bride, holding her bouquet, stands off to the side. 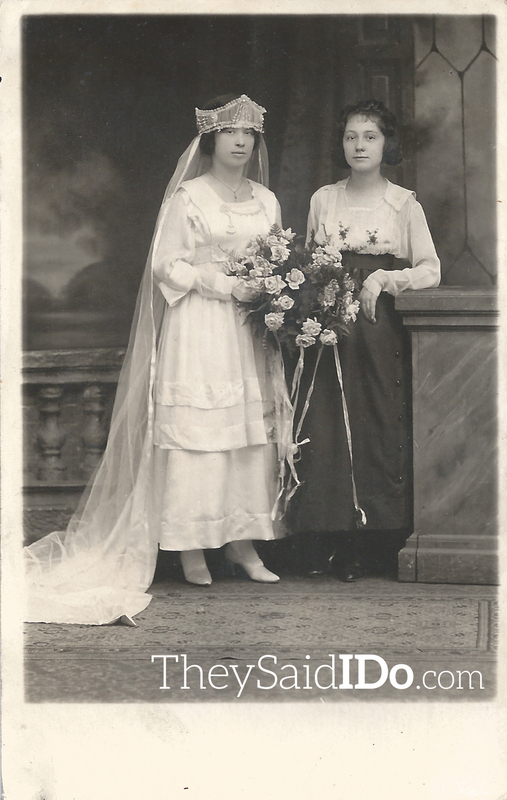 This undated photo of a Detroit bride and her attendant is printed on an Artura real photo postcard (RPPC) attributed to Ziawinski Studio. Brothers Feliks and Joseph Ziawinski were portrait photographers primarily serving Detroit’s growing Polish American community in the early 1900s. Feliks Ziawinski passed away in 1923 at age 41 and the Artura imprint was discontinued by Kodak in 1924, so this photograph may date from the 1910s or very early 20s. Younger brother, Joseph, continued the family photography business and moved to another location on Michigan Avenue after his brother’s death.